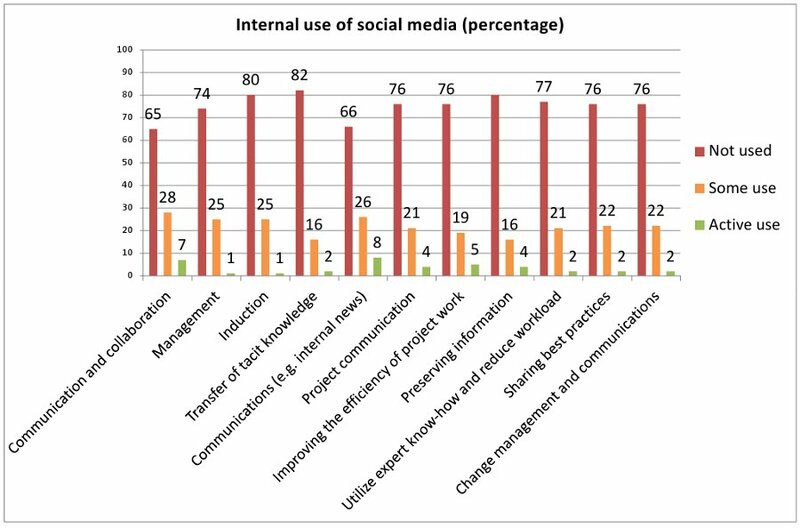 The results of a survey on social media use in traditional industrial companies in Finland was published on 29 September 2011. 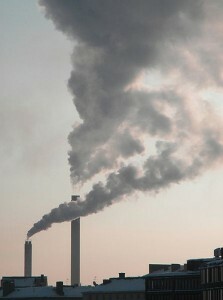 The survey was carried out between April and June 2011. So, how is social media doing in this field in Finland? Not very well, I’m afraid. Let’s examine the results in more detail. The survey was ordered by various industrial organizations and companies, and it was carried out by consultant Harri Lakkala from the social business design company Intosome. I will present the findings that I consider most important in this post. Unfortunately, the survey (click on “Raportti” near the bottom of the linked page for the full PDF) itself is only available in Finnish. The survey report also includes recommendations on best practices and suggestions for future projects, but I do not provide information on them here. The survey consisted of two parts: an online questionnaire, which was answered by executives from 143 companies, as well as 12 in-depth interviews. The questionnaire had been sent to 2488 people, so around 6% of the recipients responded. 87% of respondents were strictly B2B companies, and 81% of respondents were from the manufacturing industry. Most of the companies were small- or medium-sized, see the chart below. Social media is only rarely used in the manufacturing industry in Finland. 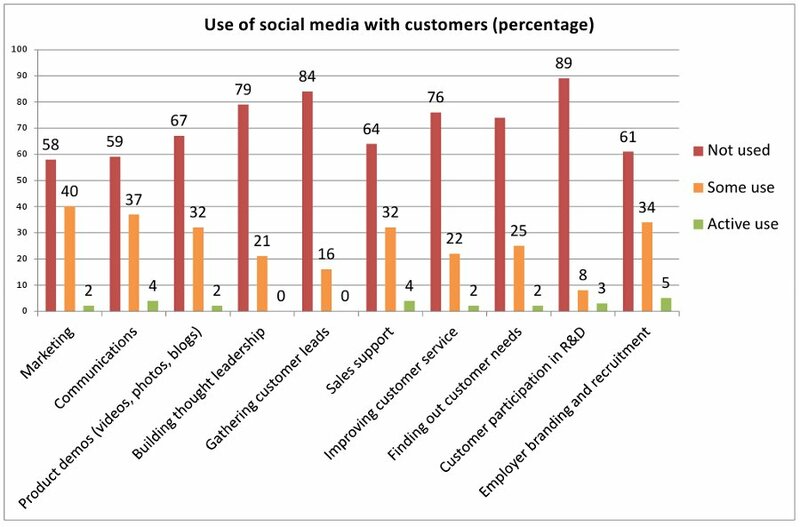 The three charts below detail the use of various social media tools with customers, internally at companies, and with partners. 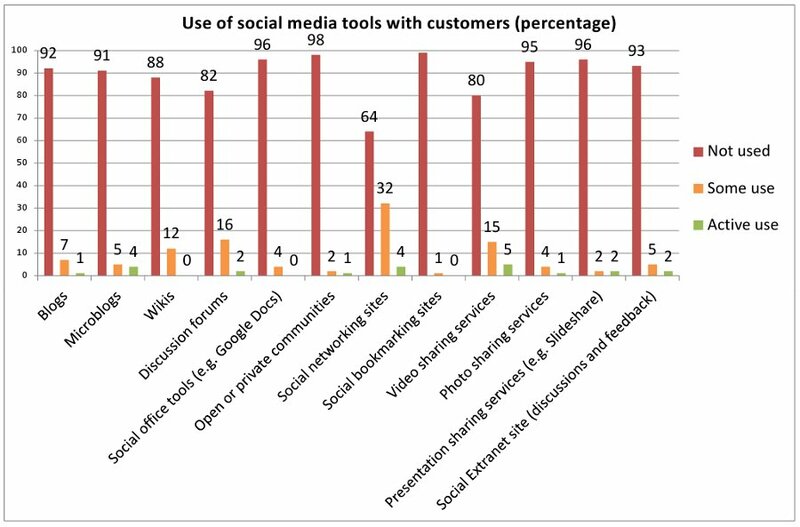 Social networking sites are the most popular tools for use with customers, with 36% of companies using them at least somewhat. Video sharing (20%), discussion forums (18%), and wikis (12%) are also somewhat used. For internal use, social networking sites still lead the pack at 32%. Wikis are close here, as 31% of companies use internal wikis. 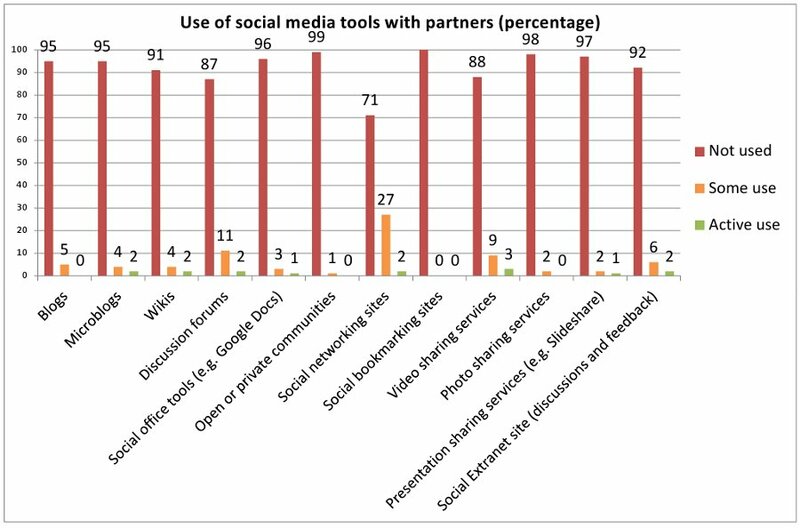 Social networking sites are also the most used type of social media with partners at 29%. There is also some use of discussion forums (13%) and video sharing (12%). The three charts below detail the purposes social media is used for with customers, internally at companies, and with partners. Marketing is the most common purpose social media is used for with customers at 42%. The next ones are communications (41%) and employer branding and recruitment (39%). Internally, social media is used quite steadily at around 25% for most purposes. It is used a bit more often for communications and collaboration, at 34% and 35%. Social media is utilized significantly less with partners. Communication and collaboration takes the lead at 28%, but most other purposes are used much more rarely. 18% of companies forbid all use of social media, 9% of respondents consider it a complete waste of time. 20% of companies have a social media strategy for internal use, 15% of companies have a social media strategy for external use, and 12% of companies have a social media strategy for use with partners. 32% of companies have social media guidelines. 12% of companies measure their social media efforts. 50% of companies monitor social media, 28% of companies have a tool for this. Approximately one third of the companies see no potential applications for social media. Around 25% of companies can identify at least one area where social media has major potential. The rest see some potential uses. More than half of the companies (55-60%) say that they understand social media poorly or not at all. Reifer Oy – quality manual in a wiki. Reifer Oy is a contract manufacturer that employs approximately 30 people. Their quality manual is on an open-source wiki platform that includes a plugin for approvals, as the management approves all changes to the manual. The quality manual includes work instructions with text and photos, and there is a link between their ERP system and the wiki so that each order is accompanied by a link to the work instructions in the wiki. Hydro Aluminium Salko – collaborative tools for partner network. Hydro Aluminium Salko is a contract manufacturer that employs approximately 50 people. They had formed a collaborative network with their customers and other companies in the supply chain that gathered monthly to analyze problems and agree on improvements. At the time of the interview, they had just taken into use a social media platform to further improve the collaboration between all members of the supply chain. Rautaruukki Oyj – utilizing social media externally. Rautaruukki manufactures and supplies metal-based components and systems to the construction and engineering industries and employs more than 11,000 people. After launching internal blogs, wikis, and team pages, they started to utilize social media externally as well: product videos on YouTube, Facebook pages, participation in conversations on LinkedIn, and participation on Twitter. Rautaruukki has social media guidelines and measures its social media efforts with indicators that include the number of readers and followers. Their goals include increased traffic on their website, new customers, and customer feedback. They also utilize social media for marketing, PR, and recruitment. According to Rautaruukki, the major challenges with social media are resources and integration with other operations. Even though the tools are free, it takes time and thinking to use them. Companies need to stay true to their culture on social media, experiment fast and often, and accept that social media cannot be controlled. Cargotec and Atostek – agile software development and online tools. Cargotec makes cargo-handling machinery and employs more than 9000 people, of whom 10 in software development. Atostek is one of its software development subcontractors and employs approximately 30 people. The process model is agile, and the utilized systems include project management, task management, and version management tools as well as wikis. These have significantly reduced phone calls and emails, and get the job done more effectively. The modern atmosphere has also proved to be an advantage when recruiting new employees, who enjoy such environment. The previous chapters merely present the results in a hopefully objective manner. Now I will begin discussing those results. The first thing to do when reading a survey is to evaluate the methodology. In this case, the questionnaire was sent to a significant number of companies in similar fields, so the results cannot be generalized to other fields, but for B2B manufacturing industry companies in Finland, the target group was well representative. The response rate was very low, but as research has indicated that response rates do not matter all that much, this is of no significance. The number of responses, however, does matter. With 143 analyzed responses, the margin of error at 95% confidence level for 50% reported percentage is around 8%. For extreme figures, such as many of the figures in this survey, this drops to around 3%. In other words, when the results say that 50% of companies that responded monitor social media, we can be 95% sure that the actual figure for all companies with these characteristics is between 42% and 58%. And when the results say that 8% of companies have external blogs, we can be 95% sure that the actual figure is between 5% and 11%. All the figures in the survey are so extreme that the margin of error does not affect their interpretation. The results include only information on the use of various social media tools and social media for various purposes. No overall figures of social media use are provided, i.e. it is impossible to say what percentage of companies utilize social media overall, because the users of different subcategories overlap and the extent of this is not reported. 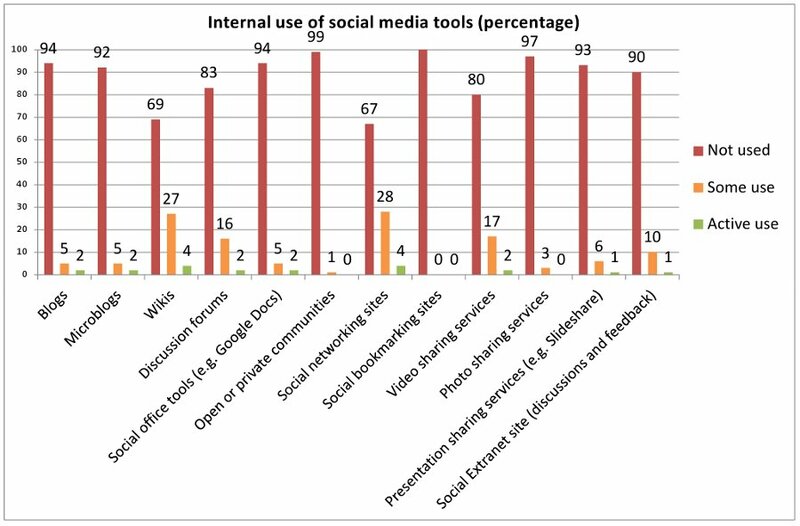 It is also difficult to combine the data on tool use and the purposes social media is used for. For example, the percentage of companies that use social media for marketing (42%) is higher than the use percentage of the most popular social media tool, social networking sites (36%). The most popular category of tools, social networking sites, is not further divided into actual services. Therefore, this survey provides no data on whether Finnish companies are on Facebook, LinkedIn, Twitter, or some other service. One of the results I’m most concerned about is the lack of blogs. Only 8% of these companies have an external blog, compared to 23% of Fortune 500 and 50% of Inc 500. A McKinsey survey referred to in the survey report has found that 38% of its respondents had blogs. Add in Hubspot research that suggests that company blogs are second only to LinkedIn in B2B customer acquisition, and one has to wonder why this media is not utilized more. It is also strange that 21% of the companies use social media to build thought leadership, yet most of them do so without a blog, which is usually the tool for thought leadership marketing. 20% of these companies utilize video sharing in their interactions with customers. This seems to be the most popular, and successful, type of social content in the manufacturing industry, as video sharing also appeared most prominently in social media use in recent manufacturing industry trade shows. Wikis: used internally, but why not with partners? 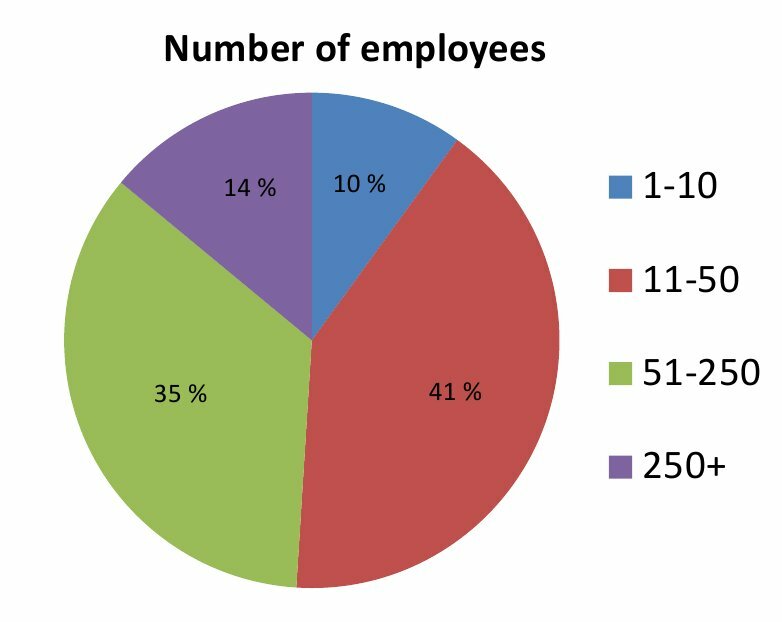 31% of these companies utilize internal wikis, but for some reason only 6% use wikis with their partners. This is a rather surprising result, as wikis are spectacular collaboration platforms. Then again, all other social media tools are also utilized only a little with partners, so it seems that adoption of this technology has not yet spread to partner networks. 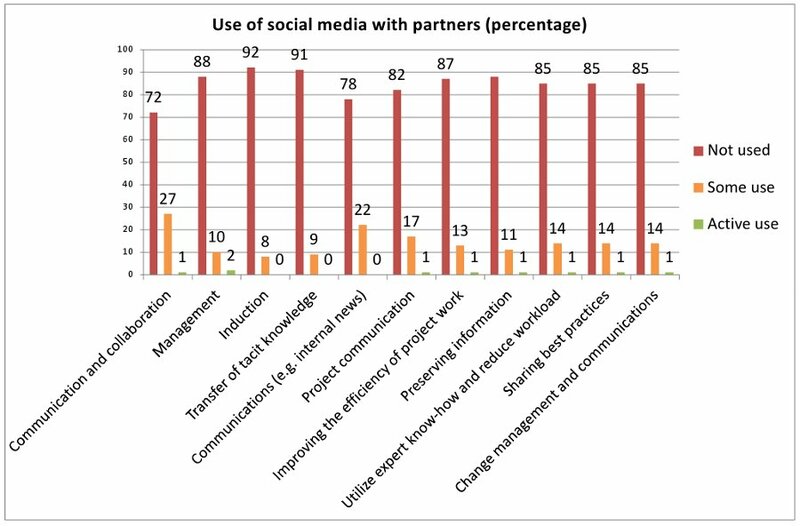 Then again, 28% use social media as a collaboration platform with partners. Because the tool use is spread at much lower figures, this collaboration has to take many forms. Finding and sharing the discovered best practices should be especially useful in this case. Only 16% of these companies use social media for lead-generation. The only thing social media is used less for is R&D (11%). Perhaps these companies are not big believers in value co-creation? Ruling out these important areas also diminishes the potential gains from social media: sales and R&D are central operations, and social media can directly contribute to both. What is some use and what is active use? Another thing to be noted is that the figures for “active use” were really low throughout. As “some use” may mean a lot of things, including quite little use indeed, the traditional industrial companies in Finland are still far, far away from effective utilization of social media. What ideas do you get from these results? Do you know of other similar surveys in other countries? For example, the Forrester studies presented in Groundswell show large differences in social media use between different countries, so it would be interesting to compare a number of countries and the use patterns there. Unfortunately, given these results, I’m afraid that Finland is not close to leading the tide on social media.